Best pork roll in Sydney? Pork rolls are taking on a vengeance in Sydney. 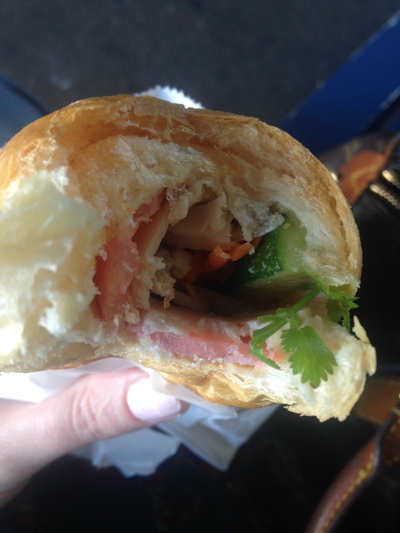 From Miss Chu (think of those yummy Banh Mi's) to the local Vietnamese inspired bakery and/or hot bread shop - where is the best pork roll in Sydney? Do you also enjoy it with or without chilli? Miss Chu's Banh Mi's are divine. Wow, that chilli hit! Otherwise, I cannot believe how cheap and tasty pork rolls are at a little bakery and tea house at Riverwood train station. The service is friendly there too, and you can choose as to whether or not you want the chilli hit there. Big fan of Great Aunty 3's....Newtown. YUM! Hi kimbe, thank you for your wonderful answer, and definitely no offence taken. This is the beauty about answering questions on Toopa Sydney, everything is allowed to express their own opinions freely and creatively. Thank you for those awesome suggestions, will give them a try when I get the chance. Cheers. After reading these reviews, I've only had a pork roll from Hong Ha in Mascot. When my husband worked out at the airport, for many. many years, someone in his office would go their every Friday & buy them for his fellow workers. My husband said the queue was always, down the footpath & around the corner! The best free event in Sydney? The most popular Sydney museum? Best sweat generating fitness workout in Sydney? Best place to get your keys cut in Sydney? The best way to detox on a budget?